The Carlsbad Chamber of Commerce is the dynamic force promoting and uniting the Carlsbad business community. With more than 1,300 members, it is the largest business organization in North County and second-largest in all of San Diego County. The Chamber has been accredited by the U.S. Chamber of Commerce since 1992, recognizing that the Chamber meets high standards of performance. Indeed, in the past two years, the Carlsbad Chamber has won state and national awards for its CEO, newsletter, website, directory and annual report. The chamber harnesses the power of this solid and growing membership base to create an environment where businesses thrive, where government supports local commerce and where the community and business work together for our city’s future. The Chamber’s size and strength allows the organization to offer a wide variety of programs and services to support both large and small businesses. These services include networking and promotional opportunities, relocation assistance, legislative advocacy, trade shows and educational seminars, to name a few. Recognizing the importance of a strong community, the Carlsbad Chamber also supports local education, transportation and other vital cornerstones to a strong civic foundation. A diverse organization of involved business professionals working together for a better community, the chamber believes that a healthy local economy plays an integral role in the quality of life enjoyed by everyone in our community. Through services to promote local businesses, innovative economic development programs, and support for important civic activities, the chamber is proud to be an integral part of the Carlsbad community. The Carlsbad Chamber has a variety of business-building programs to help its business members thrive and to stimulate the community’s economic growth. The Chamber’s annual Business Expo provides members with a high-visibility promotional opportunity. The Chamber’s referral service helps promote our members’ services to other members and to local residents, while seminars and educational programs address topical issues to keep local businesses on the competitive edge of new skills and business trends. The chamber’s committee system offers an excellent means to become involved in your choice of a dozen specific interest areas. Committee focuses range from education, transportation and technology to legislative, communications, home-based businesses and more. Joining a committee is a great way to learn more about the Chamber and the community, while meeting and interacting with other business people on a one-on-one basis. Members of the Carlsbad Chamber of Commerce play an important role in shaping Carlsbad’s future. Through the Chamber’s many business, legislative and community programs, members are encouraged to participate. Together, the membership is the voice of the business community, progressing toward Carlsbad’s future with prosperity, innovation and economic vitality. 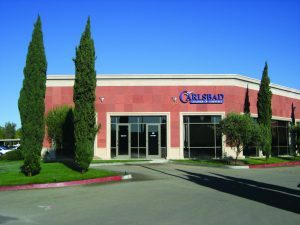 The chamber celebrated its 75th anniversary in 1998 by moving into a new state-of-the art office with its own conference room in the new Carlsbad Company Stores. The office was located at the base of the Flower Fields and near LEGOLAND California. 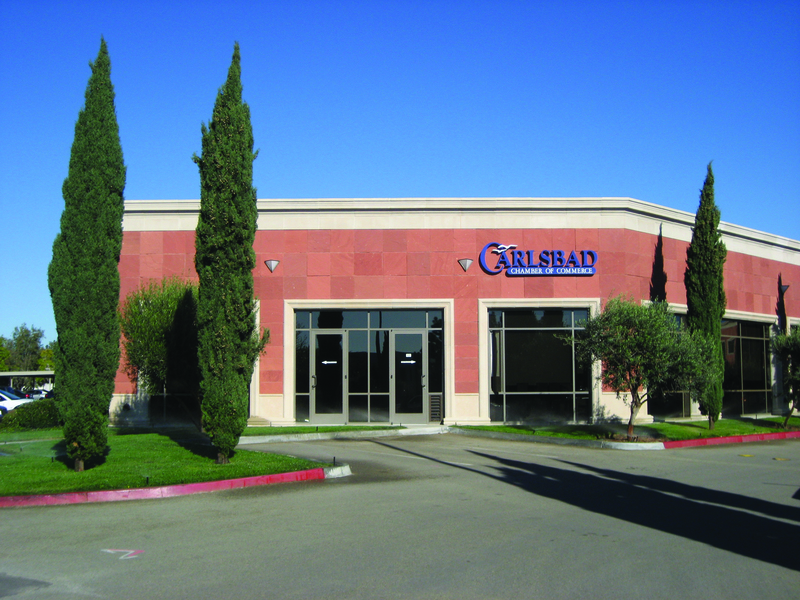 The chamber moved into its new building at 5934 Priestly Drive, Carlsbad 92008 in 2002. This marked the first time that the Chamber owned its building. In 2013, the Chamber is celebrating its 90th anniversary. It’s chosen “Our Place in Time” as the theme of the celebration to mark its tradition of leadership and excellence.